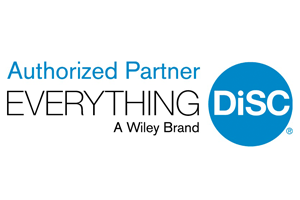 Need help deciding which Everything DiSC® solution is right for you? The Workplace DiSC tool is easy to administer, understand and apply to one’s personal and professional life. Employees who take the assessment and training program really enjoy the experience and can apply it to life and their work. We use DiSC for leadership development and to help our teams grow and succeed at their business. Tools such as DISC, TKI and others, allow our employees to understand how to deal with differing styles, equipping them with necessary skills to flex their own personal styles to effectively deal with the conflict which naturally occurs between people in organizations. We have been using the DiSC tools and courses here at Beaumont Health for many years. I personally have been certified since 2012. We use the DiSC assessment and course to help our new Leaders recognize and build on their strengths as they embark on their new role. They begin to “people read” to help motivate, develop, and work with their team. Everything DiSC 363® for Leaders combines the best of 360s with the simplicity and power of DiSC, plus three strategies for improving leadership effectiveness. The result is a 360 experience that’s more productive and satisfying. The Everything DiSC Management Profile® uses a research-validated learning model to create a highly personalized learner experience. The profile is management-specific with in-depth information, including tips, strategies, and action plans to help managers become more effective. Includes access to unlimited follow-up reports. Everything DiSC Sales® is classroom training that combines online prework, engaging facilitation with contemporary video, and online follow-up to create a personalized learning experience. Using a research-validated learning model, participants understand the styles and priorities of their customers. The result is salespeople who adapt their styles to connect better—and close more sales. The Everything DiSC Workplace® Profile uses a research-validated learning model to create a highly personalized learner experience. The profile is workplace-specific with in-depth information, including tips, strategies, and action plans to help participants become more effective. The result is more effective and productive working relationships. Everything DiSC Work of Leaders® is classroom training that uses online pre-work, engaging facilitation with contemporary video, and online follow-up to create a personalized learning experience. Based on best practices, Work of Leaders connects to real-world demands, generating powerful conversations that provide a clear path for action. Everything DiSC® Productive Conflict helps participants improve self-awareness around conflict behaviors. 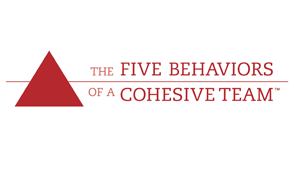 Rather than focus on a step-by-step process for conflict resolution, Everything DiSC Productive Conflict provides participants with techniques to curb destructive behaviors and effectively respond to conflict situations. The program features an exploration of DiSC® in a conflict context, provides an opportunity for participants to explore their destructive conflict responses, and offers them a method for making more productive choices in their response to conflict.